How do you fancy winning art supplies for your school, and be in with a chance to win a ferry crossing for a family of four? 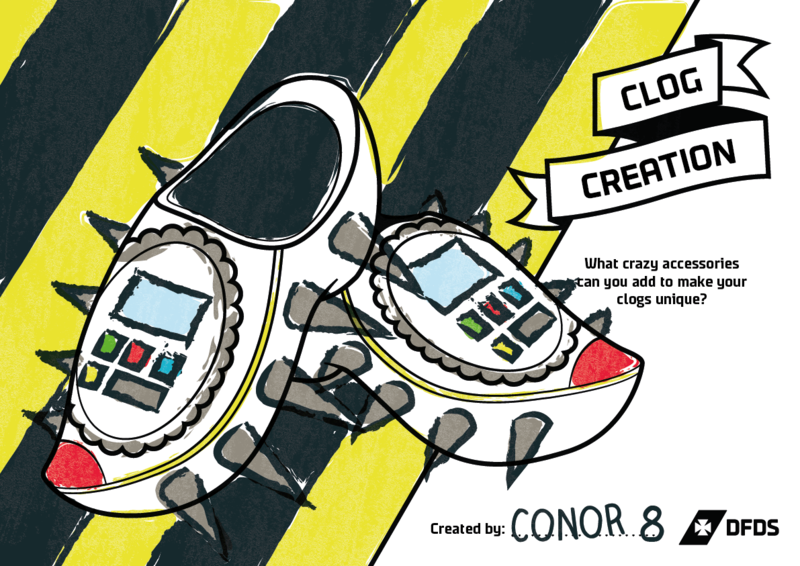 This could be easier than you thought, by taking part in our Clogs Challenge. 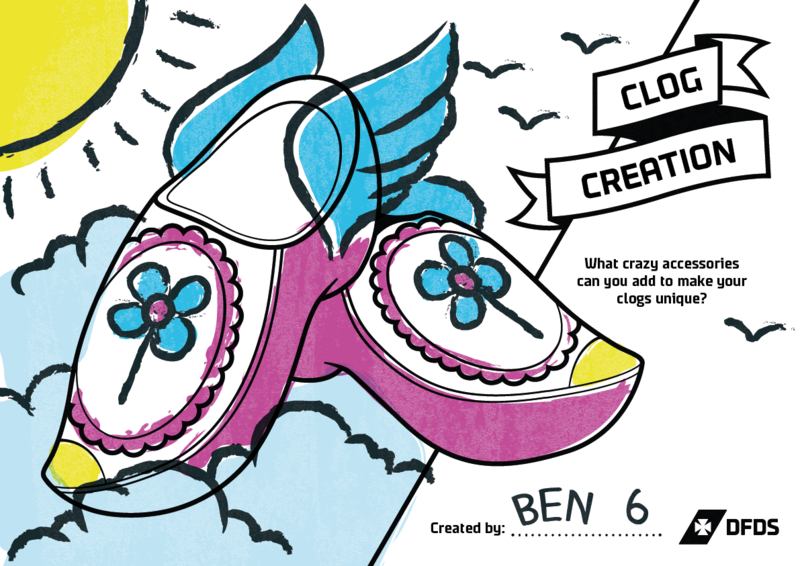 This year, to celebrate our 2-4-1 offer on crossings to Amsterdam, we are challenging school children and students to design a pair of traditional Dutch clogs for a chance to win a trip to Amsterdam. This year, the theme is ‘technology’, so be as creative as possible. There will also be a £50 Amazon voucher for three runners-up. The entrants will be broken up into 3 age brackets: 5 – 10, 11 – 16, 17 – 21. Each bracket will be eligible for a main prize and three runner-up prizes. The schools don’t miss out either. For taking part, each school will receive a donation of Orca books and art supplies. Each University will also receive a £200 donation to the art department for taking part, too. What are you waiting for? Download our templates and get designing for a chance to win a trip to Amsterdam and prizes for your school and university! All designs must include the child’s name, age and school/university. Designs must be submitted by the 21st December to be considered. 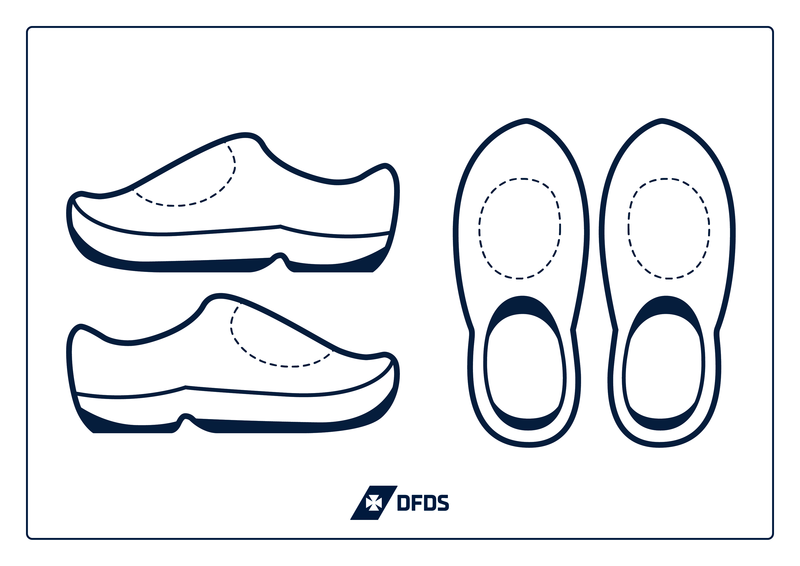 The winner will be decided by DFDS, based on the best clog design, and contacted by DFDS to arrange travel and hotel stay. The hotel will be chosen by DFDS. Entrants will be organised into 3 age brackets: 5 – 10, 11 – 16, 17 – 21. One main prize and three runner-up prizes will be available for each of the three age groups.